By buying this product you can collect up to 17 loyalty points. Your cart will total 17 points that can be converted into a voucher of 0,60 €. 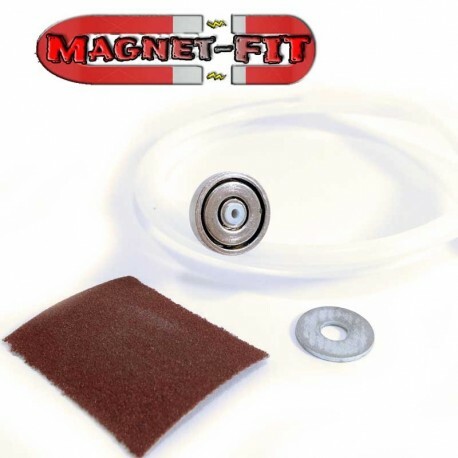 Magnet-FIT, What is it ? 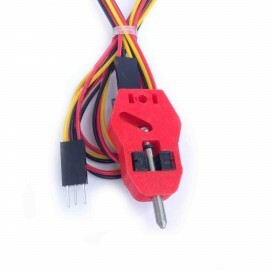 Magnet-FIT, is a system of fast magnetized connection between your PTFE tube and your hotend. 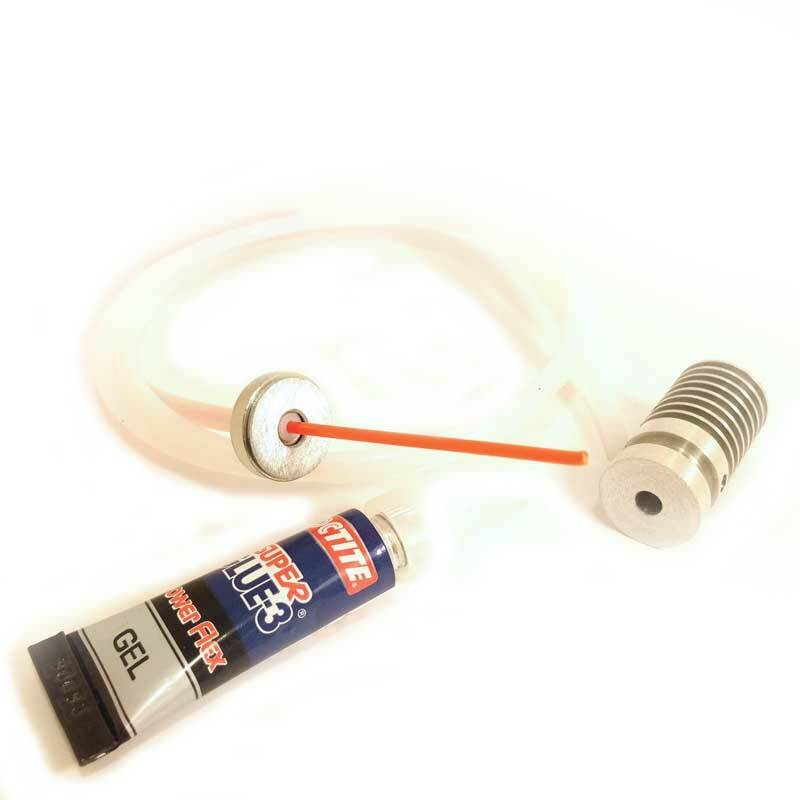 Glue not supplied, we recommend the use of the Great glue LOCTITE Glue Mini Trio 3 X 1g Tube. Magnet-FIT replaces the pneufit ! No Backlash) in the connection ! It mounts and dismounts very quickly and especially not deteriorate as a pneufit ! It resists a thrust de 6KG, even a cold extrusion does not unstick the magnet!!! 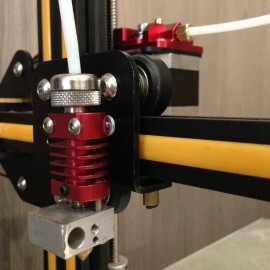 Magnet-FIT, addresses printers with deported extrudeur 1.75 mm ( Bowden) and hotend Metal (Aluminum, Stainless steel). Magnet-FIT, How mount it ? The magnet is preassembled on the PTFE tube. 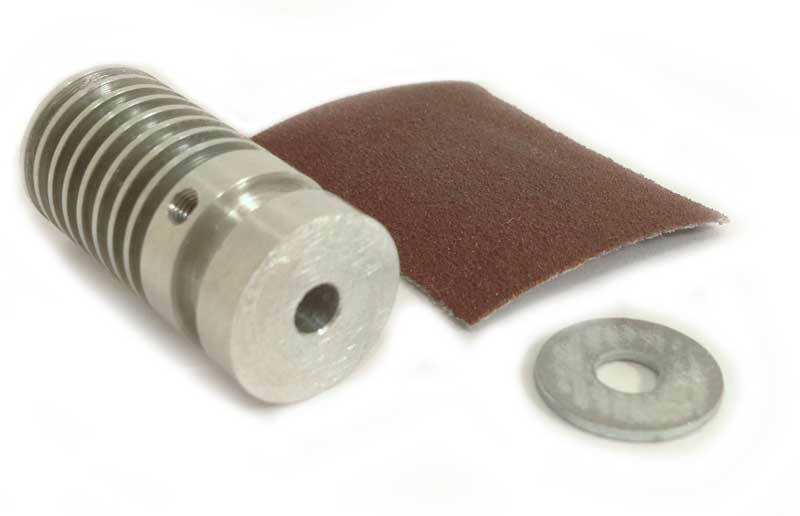 By means of the sandpaper, clean the contact areas of the washer and the hotend. Center your washer on the magnet. 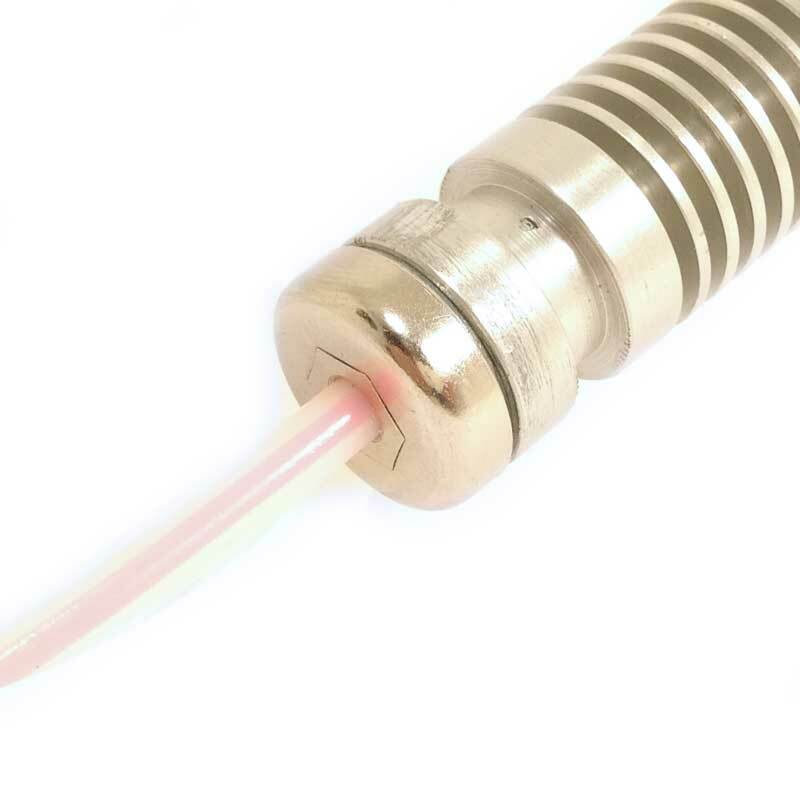 Insert a filament tip 1.75 mm in the PTFE tube. Apply a little bit of glue Cyano (not supplied) at the top of the hotend. 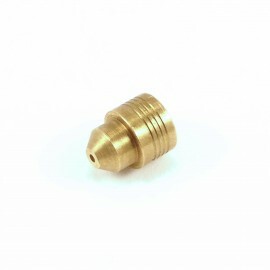 Place in contact the washer with the hotend and maintain a few seconds until the setting time. Attention if you have to screw the PTFE tube in the magnet for differents reasons please well control that the filament is not stuck in the tube. If the filament stucks, use a 2 mm drill in the PTFE tube. Du bonheur a l'état pur. Pas encore utilisé. Mais le produit semble de bonne facture. Semble excellent ! Mais je n'ai toujours pas réussit à l'installer et à le configurer. 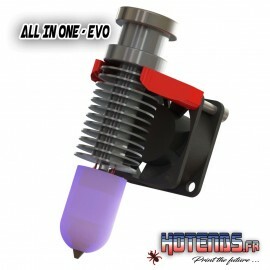 Il faut une autre imprimante 3D pour imprimer le support de ma tête d'impression et il faut connaitre Arduino pour modifier le firmware.